What is about DB2 with SQL Tutorial? 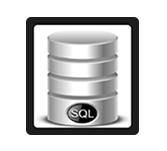 DB2 with SQL tutorial provides the basic knowledge on concepts of database, database installation and management. After completing this tutorial you need to be strong of database management and SQL concepts. This tutorial is mainly useful for the readers who want to seek education in database management domain with SQL and all enthusiastic readers. To learn this tutorial one must be aware of software systems, operating systems and computer fundamentals would be beneficial.